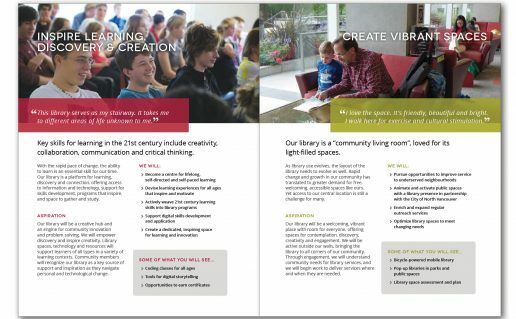 The North Vancouver City Library (NVCL) is one of three libraries on Vancouver’s North Shore. 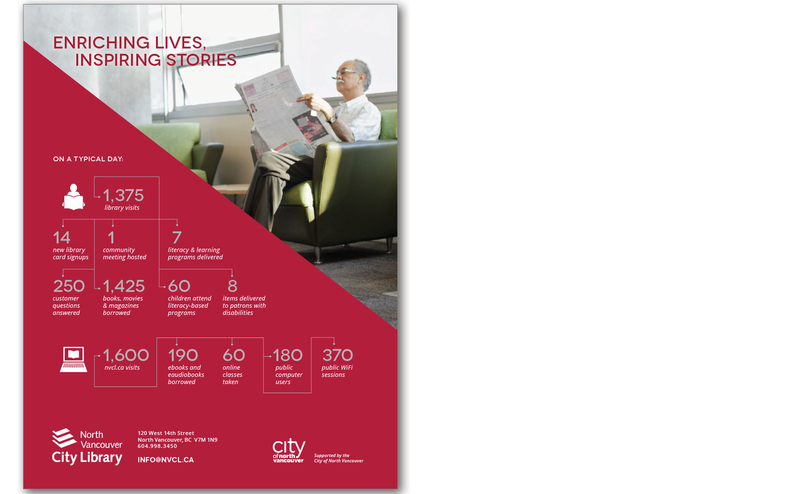 The NVCL, part of the City of North Vancouver, is located in a beautiful, modern building and is central to the strong sense of community in the City. 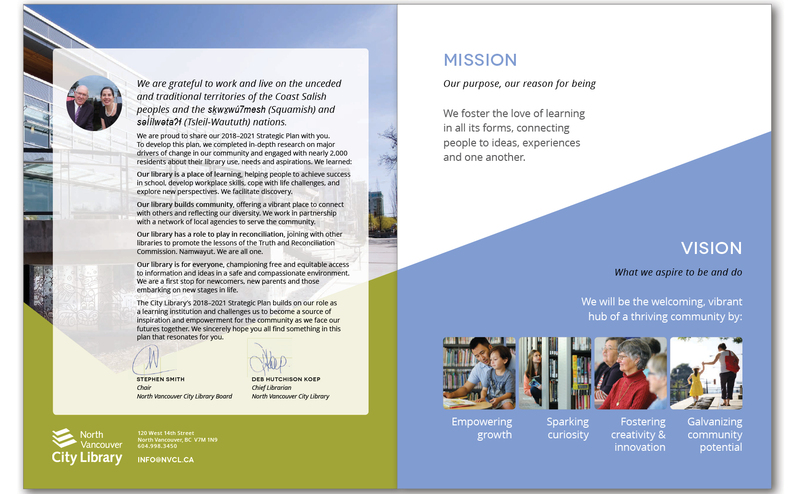 The NVCL board of directors created a strategic plan document and needed design support to present the content in an engaging way. Backyard Creative took on this challenge, and helped to manage their tight timeline and budget. Our engagement began with a collaborative discovery session with their in-house designer and a Library site tour, to help us understand what makes the NVCL unique. While the library had an established brand, it didn’t have graphic standards, or many graphic elements or devices to play with. 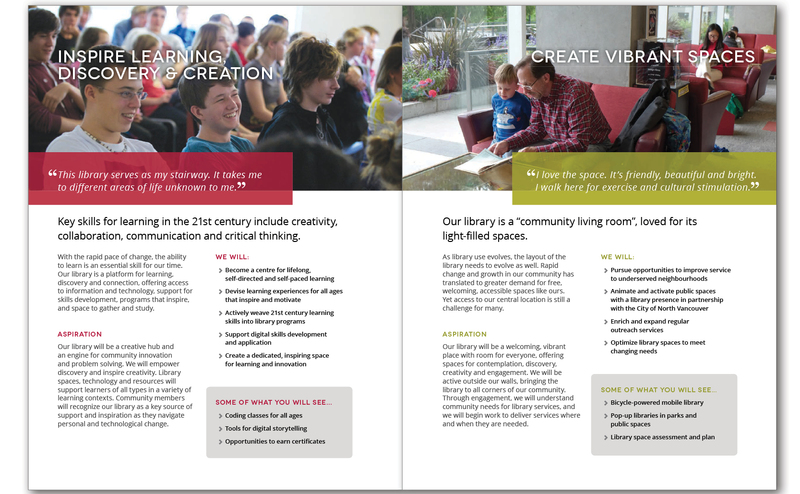 The Library has a modern glass exterior to connect the building to its lush surroundings, unique gathering spaces, and several recognizable colour coded floors. We incorporated the building’s angled shapes, which were originally only reflected in their logo icon, and colour palette into the document design, to distinguish one section from the next, and aimed to reflect the spirit of the library in the pages of the strategic plan. 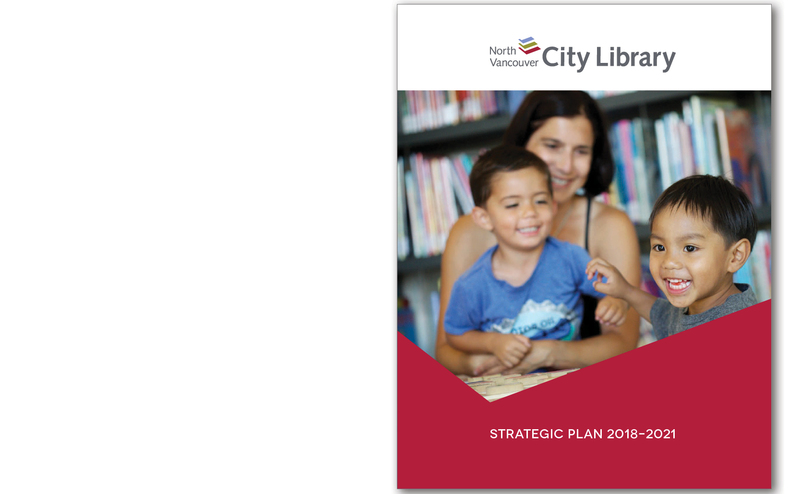 After sharing our recommendations on the brand direction using a moodboard, we delivered a beautiful and well organized strategic plan document to help the NVCL board communicate its vision to its stakeholders and North Vancouver residents. The document introduced several graphic elements into the NVCL brand and set the foundation for aligning their in-house design brand standards.